TIL (‘today I learned’) is my favourite Internt slang, when it’s used to highlight new knowledge. I like it because it brings three things together: learning, sharing and online collaboration. Sharing discoveries in real-time with an online group is a form of working out loud, which is a useful technique for softening the isolation of working remotely. New ideas - whether useful or just weird - create a shared narrative. In social conversation, jokes and stories are just as important as serious news. Fortunately, Wikipedia is sufficiently inclusionist to include plenty of both kinds of articles. Betteridge’s law of headlines - a useful heuristic (not really a law) to keep writers honest. Finkbeiner Test - avoiding gender bias in (scientific) journalism. Founder’s syndrome - It happens. The question is whether you can get over it. Parkinson’s law of triviality a.k.a. bikeshedding - a big problem for software development project prioritisation. Peter Principle - An eponymous warning for me, and other career software developers. Second-system effect - dear architects, you’re not so special that this doesn’t apply to you. Dazzle - useful obfuscation before ships had radar (updated in nerdfic thriller Spook Country). Erdős–Bacon number - what Stephen Hawking and Natalie Portman have in common. Fried Coke - possibly the most disgusting example of recombinant-cuisine. Hectare - is not an SI unit, along with acre, obviously. Krubera Cave - where you can climb 2000m below the surface with scuba gear. London Beer Flood - 1.5 million litres of beer that killed 8 in 1814. Court ruling: an Act of God. Metal Umläut - for when a name looks more cool with a gratuitous unpronounced diaeresis. Office Assistant a.k.a. Clippit - ‘Clippy’ was not his real name. 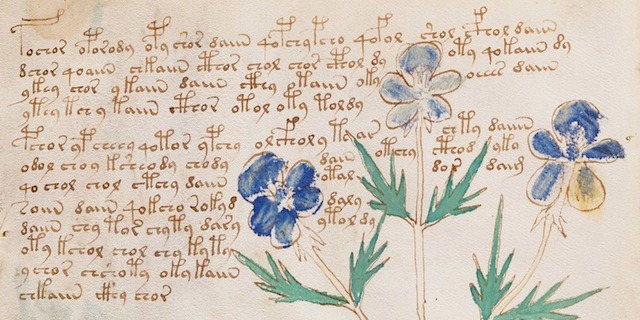 Voynich manuscript - a 15th century manuscript in an undeciphered unknown writing system:. Whiskey Rebellion - violent insurgency in late eighteenth-century Western Pennsylvania. Here’s how you play the TIL Challenge. Share a useful fact or useless trivia with your team or social circle. You win if at least one person didn’t know about it. You get one turn per day.